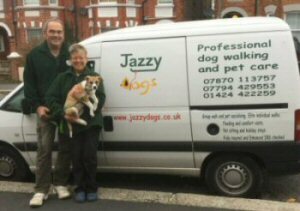 Welcome to Jazzy Dogs Professional Dog walking and Pet Care Service. With 15 years experience providing dog walking and pet care we understand how much your pet means to you. We know that you need to have confidence in us to look after them with the same love and care that you do. Jazzy Dogs pride ourselves in ensuring the welfare of your pet comes first. We are registered with the Association of Professional Dog Walkers (Membership No. 120031) and have signed up with Hastings Borough Council’s Green Dog Walkers Scheme. We are also registered with East Sussex County Council Support With Confidence Scheme. Jazzy Dogs is fully insured and all staff are Enhanced DBS checked. We offer a wide range of services and are happy to tailor them to suit your particular needs. 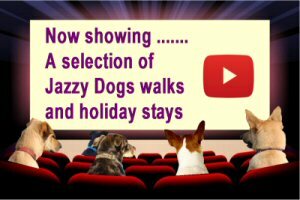 Or Email us on enquiries@jazzydogs.co.uk to discuss how we can be of service to you.